In this comprehensive volume, Canadian, Ukrainian, and American scholars examine various aspects of the Ukrainian crisis, and consider its impact on Europe. 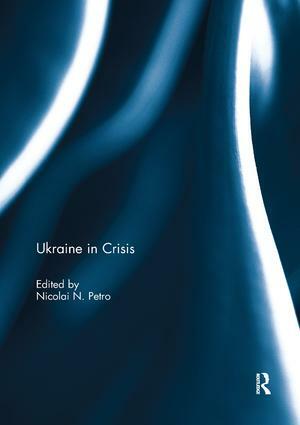 The chapters include topics such as: Russian narratives about Ukraine; the conflicting assumptions underlying their divergent nation-building agendas; new findings about the far right's involvement in the Maidan protests; the Ukrainian crisis from the perspective of Western grand strategy; the security implications of Russia's geopolitical agenda in Ukraine; the factors that contributed to the rise of separatism in Donbass; and the economic costs for Ukraine of choosing economic integration with Europe rather than Eurasia. This book demonstrates that the current crisis in Ukraine is much more complex than comes across in the media. It also explores the fact that, since Russia and Ukraine will always be neighbours, some sort of modus vivendi between them will have to be found. This book was originally published as a special issue of European Politics and Society. Choosing Europe over Russia: what has Ukraine gained?